The opportunities for making money online are endless in this digital age. I'm not talking about creating the next Google or Facebook, and I'm definitely not suggesting that there are any get rich quick schemes that will land you thousands for just a few hours of work. But there are plenty of full-time businesses, as well as lucrative side hustles, that can be set up relatively quickly with little to no upfront investment. It takes a lot of hard work and dedication to get a business off the ground. There are lots of things to consider before even launching, such as what the business will provide, who the customers will be, what your pricing structure is, and what you're going to call it. The role of the virtual assistant is completely open-ended, and the tasks can vary wildly depending on whom you're assisting. Assignments could be anything from replying to emails and updating social media, to editing spreadsheets and coordinating your client's schedule. If you're organized and are happy taking on smaller tasks for other people, then you can make money from anywhere in the world by being a virtual assistant. Timothy Ferriss's The Four-Hour Work Week helped to create an emerging market for virtual assistants with individuals and small companies looking to outsource the menial tasks that take up the majority of their time. This allows them to focus on growing their businesses. 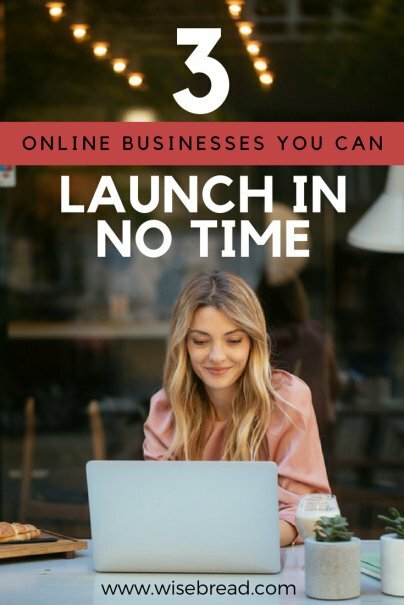 Once you've decided on the skillset you're going to offer, there are several ways of kick-starting your new business online. Social media management has become so crucial to the success of businesses that for most companies, it pays to have someone in charge of their accounts who really understands the ins and outs of all the social media platforms. Though most people have personal accounts on at least a couple of the big platforms, social media for businesses is an entirely different animal. That said, in order to prove you have what it takes to help a business with their accounts, you'll undoubtedly need to have built a significant presence of your own online. Social media management involves building thriving communities for your clients, which ultimately generates extra revenue for them. It can involve writing and scheduling engaging content, running advertising campaigns, and replying to queries or complaints. You're probably also going to be in charge of a budget dedicated to social media growth, and therefore should know how best to spend it for the highest returns. If you enjoy teaching and have in-depth knowledge of a particular subject, then online tutoring could be a reliable moneymaker for you. Where previously, tutoring was all done face-to-face and relied on finding students in your local area, the internet has made it global. Thanks to video calls and online teaching programs, you can tutor anyone anywhere in the world, from anywhere in the world, with just a laptop and a decent internet connection. Languages are a fantastic starting place, as you don't necessarily need qualifications. Often, you don’t even need to speak the student’s native tongue, as you’re encouraged to teach only in the language being learned. But tutoring is not limited to language instruction. The most open sector in tutoring is for school-aged children, and math and science tend to be subjects that children require help with. Around exam times when many parents want to give their kids a boost, tutors can be extremely busy, and you can adjust your rates accordingly to meet that demand.